Just got back from taking a Honda CG125 for a mini-tour. Mostly misty weather with a few moments of sunshine, but the roads were welcoming and curvy for the journey around Hertfordshire. That's the thing with us bikers: as soon as we have a weather opportunity, we hit the road. Does not have to be ideal weather, just enough to stay safe. 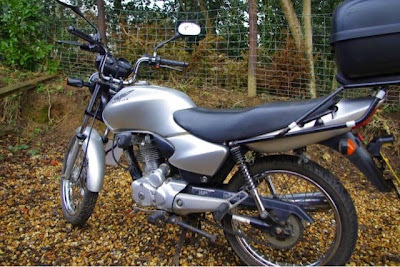 This was my first ride on a CG125, and this one bore signs of a very used machine. She had over 11000 miles on her, and a few rusty bolts to show for it. Once she got to fourth gear, she ran very well. Picked up to 60mph. Could possibly have hit more but I wouldn't have. Comfortable at 55, I'd say, without much shakes. I kinda dreaded slowing down with her as she didn't respond well in the gear change downs. Perhaps it was the engine size and I was demanding too much of her. First gear seemed only for pulling off a few feet, then too quickly into second. Could almost bimble in third, but she settled well in fourth. Even so, between 40 and 55 miles per hour felt like the comfort zone. A nice little rider, but I wouldn't buy one. It did feel like too small an engine for all that metal. Struggled up hills, and not responsive enough at junctions. Next I'll be doing the same with a Honda CBF500. With over double the bph, should be smoother moving away and sailing at over 70. I'll let you know how I get on afterwards. 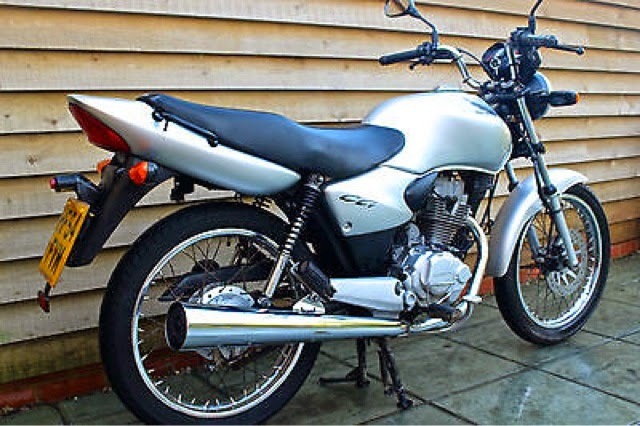 I've never been on a motorbike, they scare me a bit but I would love to have a go. I hear you. Over 1.3 million motorcycle riders in the UK alone say it's the most fun they've ever had. Go ahead and try it... just once! I've never been on a motorbike before, but I've always loved how the riders always look like they're off on a big adventure. 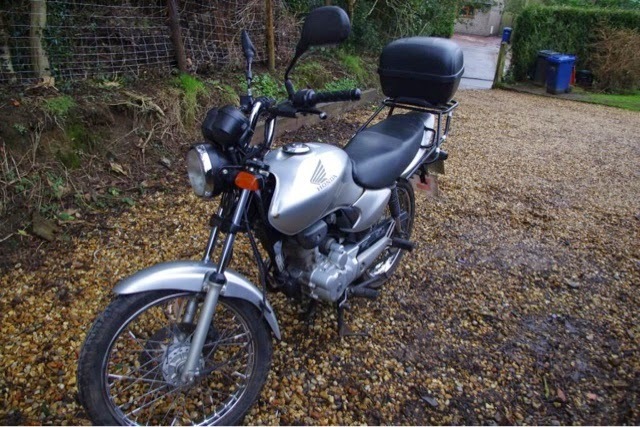 125 cc is a bit on the light side but you'd get around in Europe, slowly but steadily. From my experience I'd recommend at least 300cc. This engine displacement well be enough to even let you climb mountain passes at decent speeds. 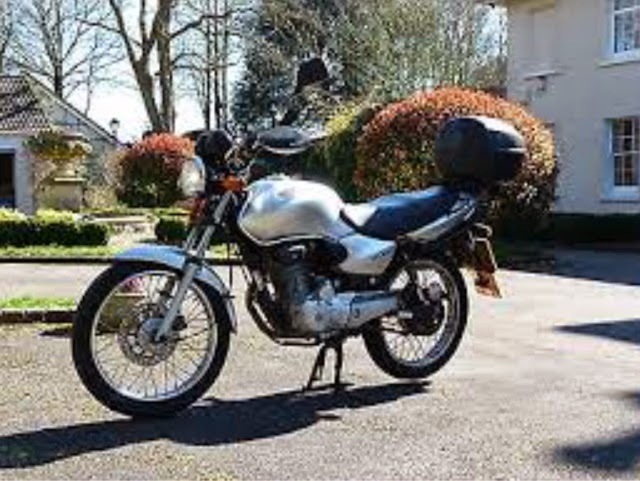 I have never had the pleasure of riding a motorcycle before but sounds awesome and scary at the same time.